Last week I decided that I was going to start getting back in shape by joining in the 100 Push-Up Challenge that several other bloggers have been talking about the last coule of weeks. J.D. over at GetFitSlowly.com started the trend last week by asking who else would join in the program. I decided to join after several other bloggers I’m familiar with, including The Happy Rock, decided to jump on board as well. The one hundred pushups program requires joiners to do pushups three days a week for six weeks. Each day you perform five sets of push-ups, with a 60-120 second rest period between each set. 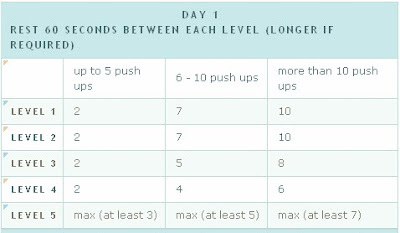 The number of pushups you perform every week increases until at last during the final week, there is a slight cool-down week. A few days after you finish week six, you try for the magic number of one hundred push-ups. Can I do it? I don’t know, but I’m certainly going to try! I’m going to be re-starting my Body For Life program at the same time, and I think they’ll work nicely together. I was able to do the recommended reps. My reps looked like this: 7-7-5-4-11 (with 60 seconds of rest between each set) . After I was finished doing my pushups my arms were shaking. The next day I was sore, so I know I was working some muscles that hadn’t been worked in a while. I know this isn’t going to be easy, but now that I’ve started and I’m blogging about it, I’m committed. Will you join in and start the pushup challenge too? If so, let us know how you’re doing! Stay tuned for Day 2 of the challenge! Over the past few days I’ve been putting together a list of some free online resources that helped me in losing weight last year, and I’m sure that can help you as well. I know a lot of people who make excuses for their weight gain or inability to lose by saying things like, “I just have a different body type than you”, or “I never seem to lose when I work out”. My answer to those people is that you’re probably not doing something right. Either you’re still not eating healthy, or your exercise program is leaving something out. (not enough exercise, or not enough of the right kind of exercise). A lot of those people just don’t have the patience to stick to a workout plan as long as it takes to see some real results. Sometimes it may take 30-60 days for you to notice any real progress, but trust me, if you stick to it you’ll lose weight! With that said, on with the weight loss resources! The ones in red are my current favorites, and the ones I use the most. 100 Push-Up Challenge: website that will get you on track to do 100 Push-Ups in 6 weeks, or your money back! (You don’t pay anything, don’t worry). Traineo.com: Traineo is a website where you can track your weight loss, hook up with other individuals to keep you motivated, track your workouts and a ton of other stuff. You can even get a cool little badge to put on your blog to show your pounds lost, or pounds to go until you reach your goal. Great site, I would check this out. Bodyforlife.com: Great motivational website with lots of stories of regular people changing their lives, losing weight and becoming fit. Tons of great healthy recipes, workout programs and more to get you going on a lifestyle of fitness. I used the Body For Life program to lose 40 lbs last year. You can get the book through my link below as well if you’re interested in the program. StrongLifts.com: The tagline for this website is, “Build Muscle & Lose Fat through Strength Training”. This website has a ton of practical weight lifting exercises for regular people. Lifting weights is probably THE best weight to drop weight. 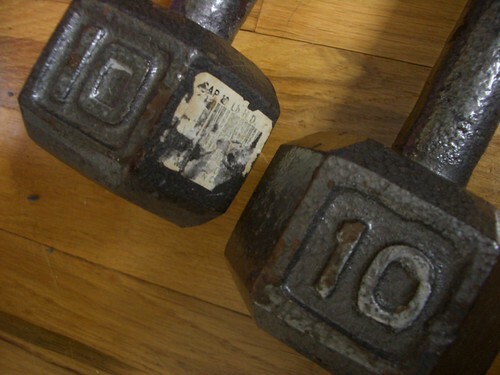 When I started lifting with dumbbells at home, the weight dropped MUCH quicker. Read diet and weight loss blogs: GetFitSlowly.com, Drop the Fork, Skinny Kat and The Better Body Blog are a few, although there are a ton more out there. Eatright.org: The American Dietetic Association’s Web site will give good nutrition advice. thedailyplate.com: – This site helps you track foods, exercise, carbs, protein, water, sodium, fiber, sugars, sodium, fat and fiber. Easy Ways to Lose Weight: 50+ Ideas: Quick and easy tips and pointers on how to lose weight. So there you have it, some great free resources for losing weight online. Keep in mind that losing weight is still going to be up to you, and you’ll need to have the discipline to get it done. Get crackin! Don’t forget to check out my recommended weight loss and workout plan in the book “Body For Life“, and at their website discussed above. Welcome to Quick to Fit! Hello everyone, this is the inaugural post for QuicktoFit.com! 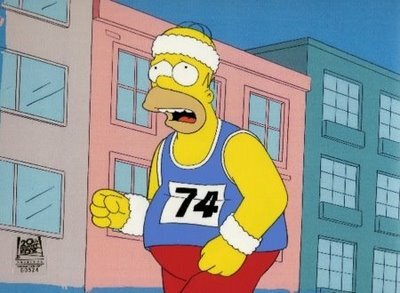 I started this blog as a way to keep myself accountable for my fitness life, in a similar way that my other blog, BibleMoneyMatters.com has helped me to remain accountable in my personal financial life. Blogging about the subject means that I have to think about it, and the fact that I’m writing about my progress means that I’ll be embarrassed when I backslide or don’t follow through with my exercise plan. So with that said, I’ll start out by giving a quick rundown of my personal fitness level, where I’ve been, and where I hope to be. I am 32 years old, 6’4″, and at my heaviest last year I weighed 255 pounds. I was overweight, but because I’m so tall I was able to distribute the weight well enough that I didn’t look as overweight as I was. When I mentioned to others that I wanted to lose some weight they would say things like “Oh, you don’t need to lose weight, you don’t look that heavy!”, or “You DON’T need to lose weight, I do!”. I wasn’t happy with my personal fitness level, and knew I needed to make a change – no matter what other people told me. The final straw that really got me going on a fitness regime was when I was driving home from work one day, and every time I hit a bump in the road, I could feel my fat jiggling. That was just gross, and I knew this needed to be fixed. A few years previous I had lost 10-15 pounds using the Body For Life system, and I knew it worked well for me. It was also a plan I knew I could stick to, so I started doing the plan in February. I began exercising 6 days a week by lifting weights 3 days a week, and doing aerobic exercise (interval training) 3 days a week. I also began eating healthier, 6 times a day. Over about 4-5 months I lost 40 pounds through the program. I was down to 215 pounds, and was feeling more fit than I had in years. Over the last 6-8 months since then I have let my exercise and eating regime slip. It’s been a tough 6 months where my wife almost died from a complete leg blood clot, and we had a death in the family. I just haven’t been motivated to work out or eat well. In fact, when my wife was in the hospital for a month, I ate at Mcdonald’s almost every day, and probably gained 5-10 pounds that month alone. Well, this past week I realized that I had gained 20 pounds back of the 40 I had lost, and knew I needed to stop the bleeding before I gained it all back. It is time to get back on wagon, and lose the remaining 35 pounds to get to my goal weight of 200 pounds. So here we are. I’m currently at about 235 pounds, and ready to start back on a weight loss plan. Time to start. Here we go. Join with me, and we can all go from slow to fat, to quick to fit!